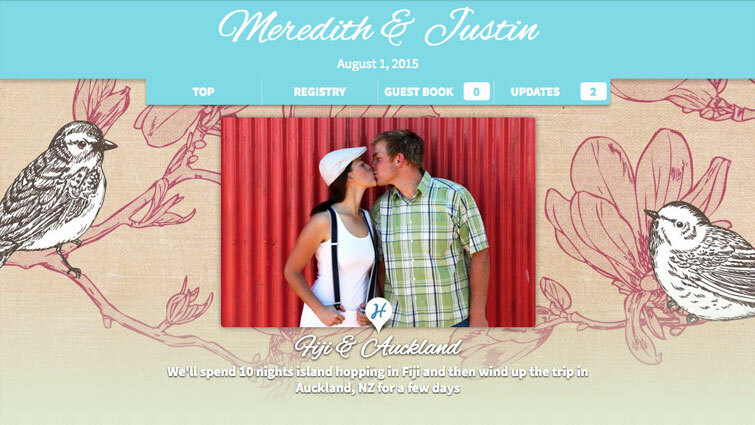 Free Honeymoon Registry by Honeyfund, the #1 Cash Wedding Registry. No fees, no strings. Sandals Resorts offers the ultimate all-inclusive honeymoon vacation in the Caribbean. Indulge in 5-star global gourmet dining, premium spirits and wine, signature accommodations, elite butler service, unlimited water and land sports, private offshore islands and so much more. See more destinations and starter registries. Did you know Honeyfund was started by a couple just like you?! 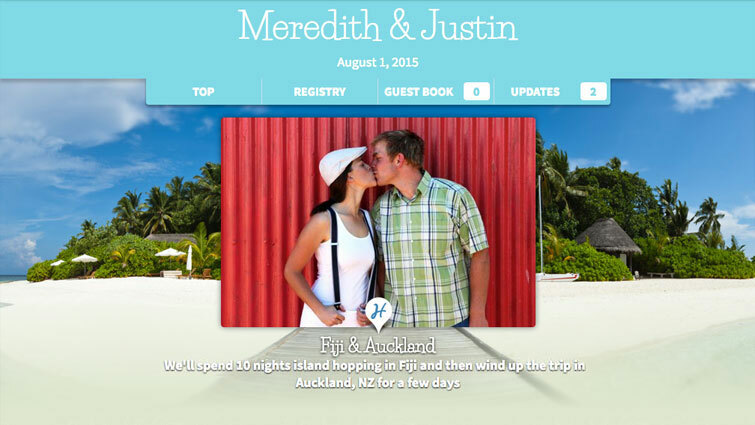 Creating the world's most popular honeymoon registry was not exactly our plan when we were dreaming of our own Fiji honeymoon. 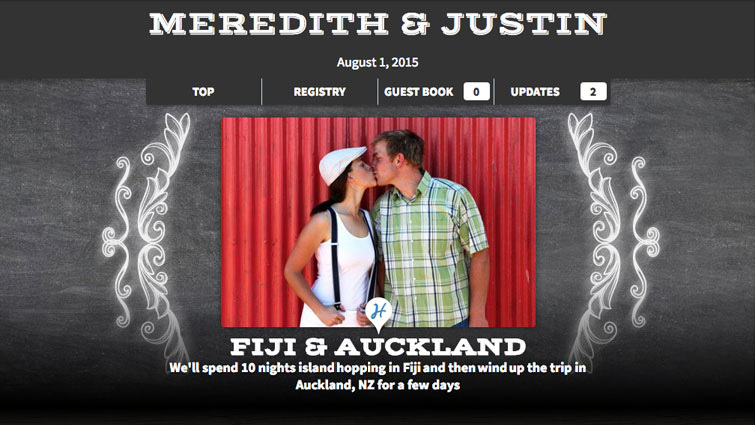 With barely the funds to finance our wedding, we needed a low-fee honeymoon registry. But we found only costly and outdated options. 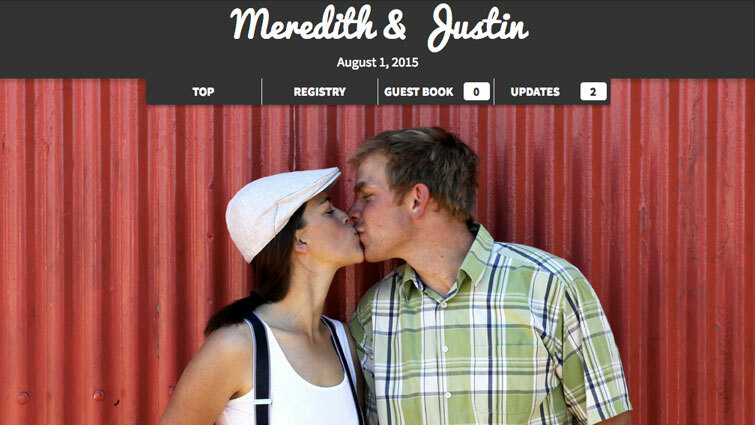 So we made our own page for guests to contribute cash as a wedding gift. From the surprisingly enthusiastic (and generous!) response from our wedding guests, Honeyfund was born. 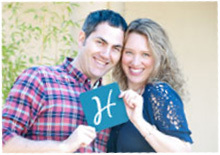 Today, 937,327 couples have chosen our easy and free honeymoon registry to make their dream honeymoon wishes a reality. We still proudly run the site and personally correspond with our users. Thank goodness we found Honeyfund! Honeyfund's #1 online wedding gift registry makes it easy to give and receive the perfect wedding gift — one that reflects your unique style and makes giving fun for your wedding guests! As the world's most popular crowdfunding site for weddings, honeymoons, down payments, charities and more, we've helped hundreds of thousands of couples make their newlywed dreams come true with our easy-to-use fundraising platform. Need more? Contact our customer service team. Spend 6 days climbing Mount Kilimanjaro — cross bamboo rainforest, alpine heather, and "the Saddle"
More questions? Check out our full How it Works FAQ. * Fees for US credit card payments only (see international rates here). Offline payments always free.